Yealink founded in 2001 offer a wide range of SIP based desktop VoIP Phones and IP Video Phones that are ideal solutions for individual / small organisations to large multinational originations. The Yealink IP Phones are considered to be high quality products which are easy to use and install. The Phones are available at an affordable price. With a wide variety of Yealink IP phones to choose from you may be debating what the best is phone for your needs. 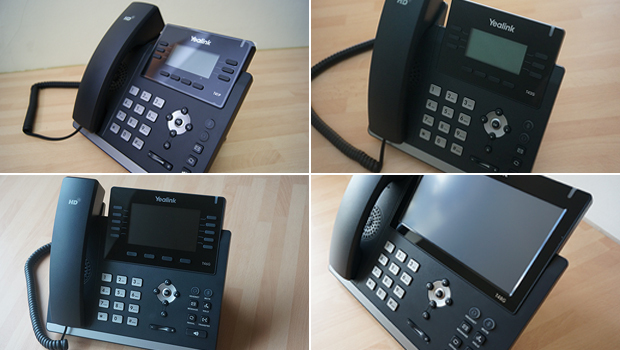 Let’s take a look at each Yealink IP Phone range and what features are available. The Yealink T20P entry level SIP based VoIP Phone model features a 2 line LCD display and 5 function hard keys. The Yealink T22P is mid entry VoIP Phone. The T22P features upto 3 SIP accounts, features a Blue Backlit LCD Display 132×64. The Yealink T26P advanced IP Phone includes 3 SIP lines, 13 soft keys and a 132×64 graphic display. The Yealink T28P SIP VoIP Phone is a top end executive business phone with 16 Programmable Keys and 6 SIP Accounts plus a host of other features. The Yealink T32G one of two from the Yealink Gigabit range features a 3″ 262K colour LCD, Intuitive user interface and 3 lines. The Yealink T32G is ideal for high demand communication needs. The second Yealink Gigabit IP Phone the Yealink T38G includes 6 SIP lines, 16 Programmable Keys plus many other advanced features. Like the T32g model its ideal for business use. The Yealink VP530 is an executive business media video phone that surpasses the technology used in the VP-2009. The VP530 features a High-resolution 7 inch LCD color display and forward facing microphone speakerphone with excellent voice clarity and delivery. For more information on the Yealink VoIP Phone range you can visit our dedicated Yealink page. You can also use the Yealink product comparison chart to give you an easy break down of the Yealink range.